I have been on a forced creative hiatus. Ugh. Last year the economy had really slowed work down quite a bit but this year it has been non-stop, go go go since mid May and there is no end in sight. I work in a position where I have to do the work, it's not something that I an just walk away or check out over the weekend and come back to it on Monday. I have a deadline and the project needs to be done by that date. It's a bit nerve wrecking if you are running behind and with more projects that you have time to complete, you are always behind. So, weekends have been pulled into the work week and whenever I take a breather, I don't feel I can actually sit down to get anything done. I wanted to work on so many projects but, until recently I have not been able to pull myself into actually cutting anything or sewing anything. I was going through a bit of withdrawal and finally broke down and cut up the Fat Eighth bundle I won over at Kelly's during a Charming Club giveaway. I had been scoping out the fabric and when I actually won I was VERY excited. 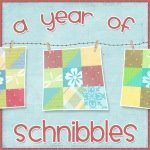 I decided to use the fabric to make a quilt from Miss Rosie's Quilt Co. new book Schnibbles Times Two. I decided to make the larger version of Short Story. The fabric was just enough so I was very happy. 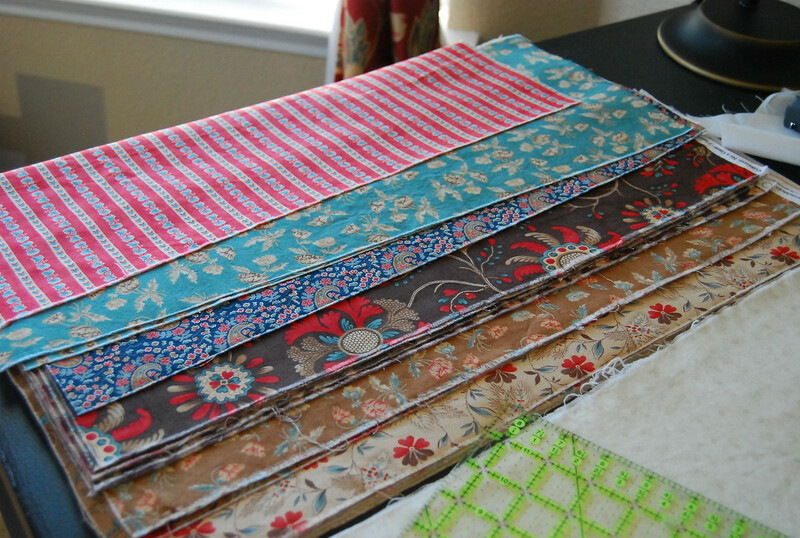 I cut out all the fabric and separated the strips into the 49 blocks. 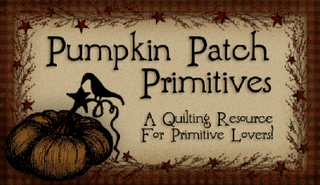 This fabric collection is just gorgeous! The more I cut, the more I fell in love with each piece. I have made 8 blocks. Not alot but I'm happy to see SOMETHING coming out of the sewing room that doesn't come from the creative juices of my daughter. 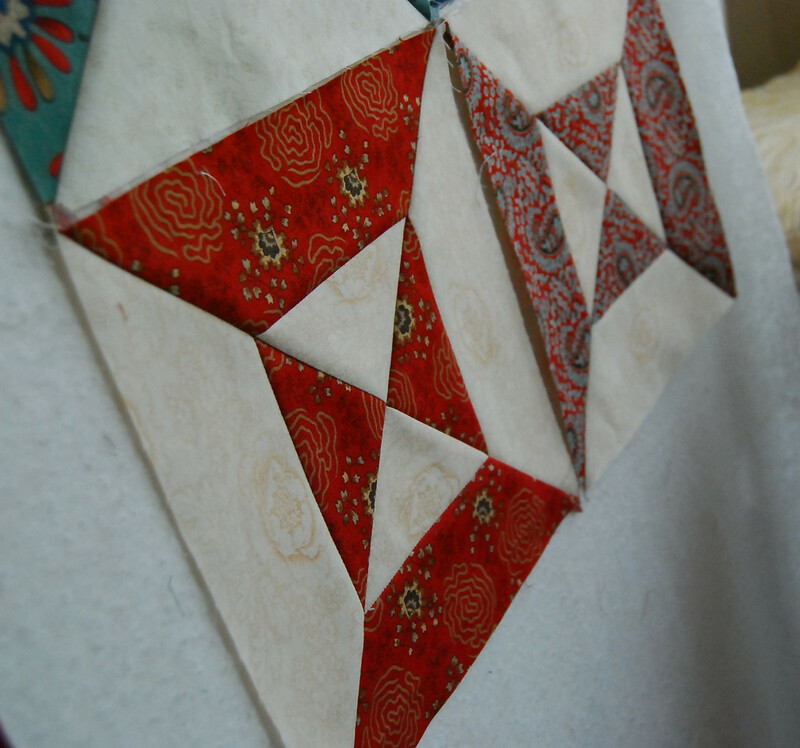 The blocks come together very easy, which is nice since I can easily sit down and sew a few seams here and there when I can. I won't be able to finish this one to make it for the Schnibbles contest but I'm VERY happy that I'm actually getting something done. 7 comments on "A Short Story emerges..."
Your blocks look great. Perfect fit for these fabrics. 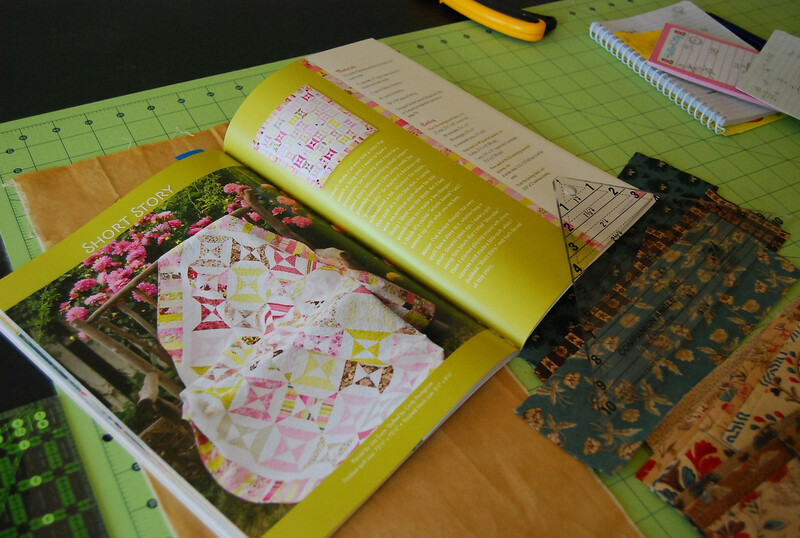 That is going to be so nice in your fabrics! That's a good idea, just a few at a time! Oh Sandy - your blocks are gorgeous! What a great choice of fabric for that quilt! 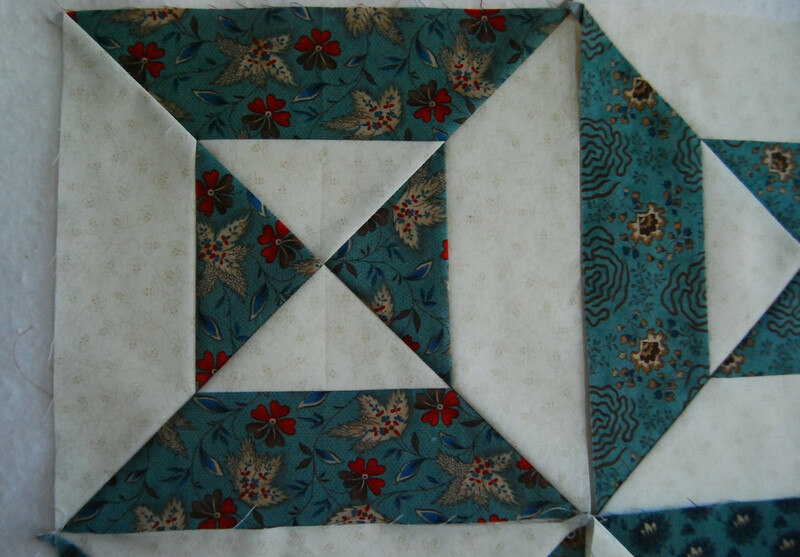 And, as always, you've done a lovely job with the piecing! Way to sew! 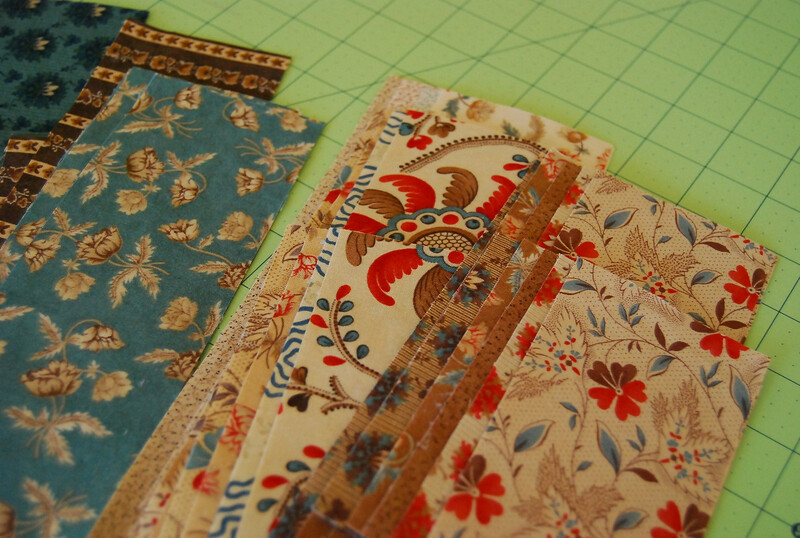 Those blocks are gorgeous...what perfect fabrics for the pattern! 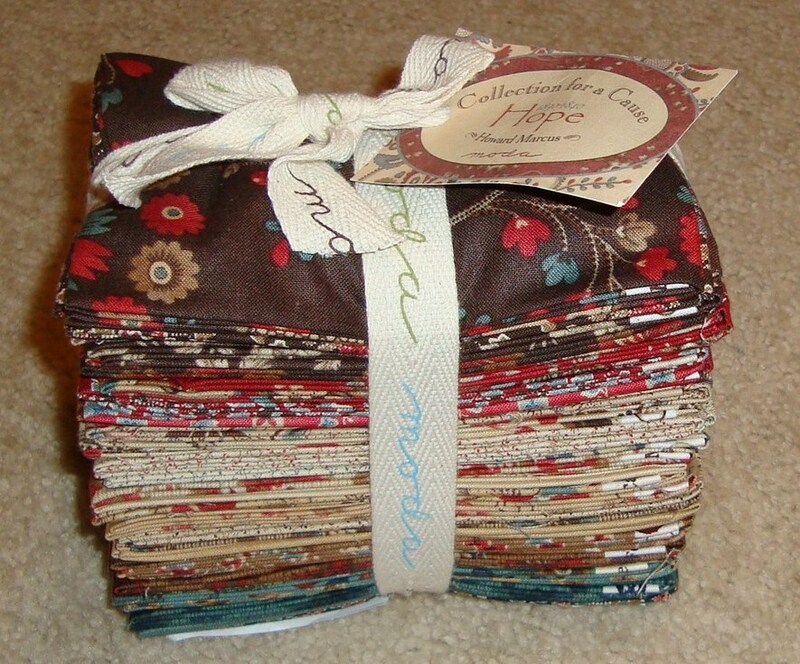 this quilt is also on my short list of ones to someday make...something like a Bento box, but different!